Lora is a Facilitator, Laughter Yoga Teacher and Hatha Yoga Teacher. Laughter Yoga has had a huge impact on Lora's life. Following a disturbing travel experience in 2010, Lora spent several months experiencing severe anxiety. Seeking something to help with her anxiety, Lora ventured from Dunedin, New Zealand (where she was living at the time) to Christchurch, New Zealand to be trained as a Laughter Yoga Leader. Ironically, this training took place just after the first of several major earthquakes in Christchurch. Although hesitant to go at first, she has been laughing regularly ever since and finds herself facing many anxiety provoking situations with ease. Wherever she is in the world, she loves sharing her laughter as she finds it a barrier-free way to build connections, let our inner joy flourish, and, to enjoy! Heidi has worked for the City of Calgary for the past 25 years. The last 10 years she has been traveling to Belize, Central America, seasonally. Heidi became a Certified Laughter Yoga Leader in 2008 and started teaching at the Ocean Academy High School/Caye Caulker Island in 2009. She also lead Laughter Yoga on the Beach. Heidi is now a Certified Laughter Yoga Teacher since 2013 and has been working with the South Asian Canadian Association in Calgary. Heidi has often been described as fun and entertaining, sharing her infectious laughter as she lights up the room with her enthusiasm about laughter. 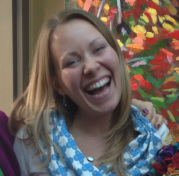 Heidi also uses laughter yoga for her own recovery from ADHD, depression and addictions. She has had a great result with regular practice. A very wise person once said, people don’t care what you know, until they know that you care. Sharon Falconer cares! Sharon is a Certified Laughter Yoga Leader since 2008 and has conducted hundreds of laughter workshops since then. She became a Certified Laughter Teacher in 2012. Sharon has done laughter sessions for many Seniors facilities and local schools in Calgary, as well as corporations including; CRA-Bankruptcy Division, Town of Irricana, Atco Power, Banff Centre of the Arts, Covenant Care, Silvera for Seniors, Canadian Association of Retired Professionals, Woods Homes, and Creative Tree, to name a few. Sharon spent three years volunteering for the Homecare division of Alberta Health Services until 2010, visiting sick children in their homes, bringing Joy and Laughter as Sunshine Sally. When Sharon isn’t Laughing and playing she’s helping adults with Dementia. Krishna loves learning, breathing exercises, "physical yoga," Neuro Linguistic Programming (NLP) Life Coaching and Laughter Yoga Teaching. He has wealth of skills, experience, and personal enthusiasm in teaching Laughter Yoga. He is a certified Reiki Master practicing in Calgary. In September 2009, he went through open heart surgery in Johannesburg, South Africa and was faced with a big challenge of how to keep his body, soul and mind healthy and strong. The Delhi Laughter Yoga Club provided him with the solution to join Laughter Yoga. They trained and certified him to teach laughter skills. Since 2012, he has been leading Laughter Yoga in birthday parties, seniors clubs, cancer associations, and with staff and students of secondary schools in South Africa. Now, he specializes in coaching Senior Citizens at Calgary Immigrant Services and leading laughter sessions at Asian cultural events. His lifestyle has completely changed from tension, stress, and depression to become a laughing person in all situations. Noelle loves learning, yoga, laughter and life! Her diverse educational background includes: Drumming Circle Facilitator Certification, B.F.A in Drama, Reiki Level 2 Practitioner, Lay Counsellor Certificate, Independent Film Maker Certificate, Mental Health & Addictions Certificate. Her professional employment history is as diverse as her educational accreditations – and wherever she’s ventured, she’s always naturally shared her laughter. She discovered the joyful and healing practice of Laughter Yoga after losing her health in 2008, and is living proof of the healing power of “laughter is the best medicine” for the mind, body and spirit! Certifying as a Laughter Yoga Leader in 2010, Noelle has been sharing laughter ever since and using it personally as a pain management tool. Ha! JP has a passion for life and learning through challenges. His journey with Laughter Yoga started as a means to not take himself too seriously, all the while trying to establish himself as a professional in the corporate working world after obtaining his Bachelor of Arts degree in Sociology. Through his busy personal and professional life, he attributes his practices of Hatha Yoga and Laughter Yoga as being cornerstone to keeping him grounded, no matter what situations life might present to him. In addition to being a recently graduated certified Laughter Yoga Leader and getting his feet wet with leading Laughter Yoga classes, he enjoys studying classical singing as a hobby. If you are a Laughter Yoga Facilitator in the Calgary area and would like to be listed here, please let us know!